Up to 90% of people with ADD/ADHD struggle with something clinicians call Executive Function Disorder (EFD). How does Executive Function Disorder affect daily life with ADD/ADHD? First, consider the common characteristics of ADD/ADHD: hyperactivity, inattention and impulsivity. They speak to the struggle to self-regulate. 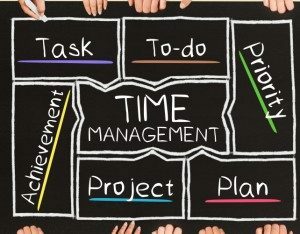 Add to that the demand of a group of mental skills that monitor the passing of time, self-awareness, the ability to control emotions, memory, language, actions, and motivation (Executive Function). They represent the skills that reflect the high level thinking necessary to function consistently and effectively everyday. Without them, you have Executive Disfunction, or Executive Function Disorder (EFD). ADD/ADHD combined with EFD makes seemingly simple things like paying bills, getting to work on time and staying ahead of clutter, keeping a job or friends tremendously challenging. What Is Executive Function (EF)? The frontal cortex of the brain controls executive functioning. It influences how you approach a task and work to bring it to completion. Executive functioning is all about the self-regulation and the organizational skills required to initiate and complete tasks, while juggling everyday demands, including maintaining relationships. People without ADD/ADHD find this list to be pretty simple to execute. It’s their natural flow of organization, planning and execution. 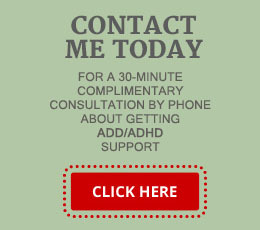 However, people with ADD/ADHD and EFD are frequently at a loss. Looking at the above list, imagine how difficult ADD/ADHD and EFD can make school assignments. A child without ADD/ADHD and EFD is able to use this formula and complete the assignment on time. With maturity their executive functioning skills would become more refined. A child with ADD/ADHD and EFD however, would receive an assignment and struggle to even plan how to start the assignment, let alone finish it. The quality of work needs to improve. They are trying to juggle a number of assignments and scheduling demands with varying deadlines and due dates. The problem is, their executive functioning doesn’t grow at the same pace as their schoolwork demands. As a result, EFD is a major player in school year struggles for children with ADD/ADHD. In adulthood, ADD/ADHD and EFD can make nearly everything in daily life feel like a struggle. From organizing a household, to work deadlines, struggling with steps to task completion, and maintaining adult relationships can make the simplest tasks almost impossible. The good news is that, while there is no single “cure” for ADD/ADHD and EFD, there are things that can be done to help struggling individuals, regardless of their age. Students may have support through their school in the form of an IEP or a 504 Plan. Younger children also respond well to token systems, daily report cards, and receiving additional support in breaking down tasks. Medications can help to treat the ADD/ADHD, allowing for better focus. Additionally, behavioral therapists and ADD/ADHD Coaches are skilled in teaching adults new skills or work-arounds to minimize the negative impact of EFD. The first step towards success is identifying and understanding the problem.